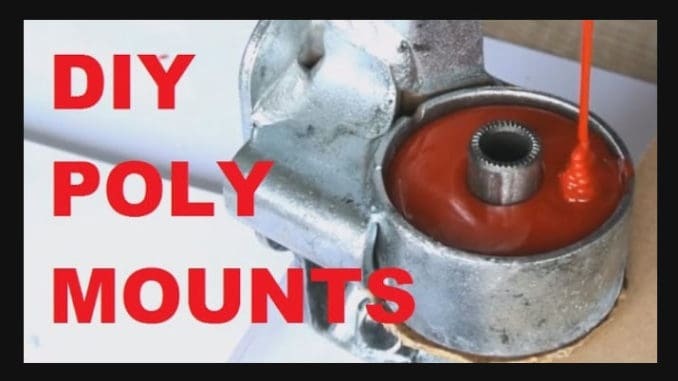 In this detailed video you’ll learn how to make polyurethane engine and transmission mounts from liquid polyurethane. 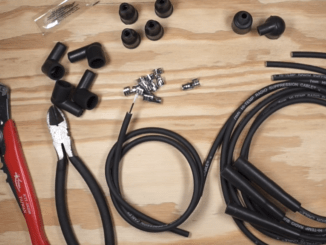 The advantages of doing this as opposed to buying readymade aftermarket polyurethane engine mounts are that this method is much cheaper ($25 USD for 4 mounts vs. $160 USD for 2 mounts in the case of demo car in the video). The advantages of polyurethane engine (especially torque mounts) are improved responsiveness, no need to replace the mounts ever again, reduced wheel hop and preventing horsepower lost on moving the engine back and forth. The video shows a detailed procedure, from removing the old mount inserts, burning out the rubber, and pouring in new liquid polyurethane. The product I used is ReoFlex™ 60 from Smooth-On, Inc. There are many others out there, however, this is just what was available to me and in the right shore hardness. The additional benefit of DIY mounts is the fact that you can customize the shore hardness of the mounts to make it best suited to your application. I have selected 60A shore hardness which is a nice compromise between the 80A shore hardness stuff which is more suited to track day cars and the 40A shore hardness stock rubber. The important thing is to ensure the pins inside the mounts are fitted in the same position as stock and they must be positioned to stand flat for the liquid polyurethane to cure properly. Think in advance about where the polyurethane will be drying as this is where the engine mounts will be sitting for anywhere between 16-48 hours depending on the temperature and liquid polyurethane product/brand. How have my DIY Polyurethane Engine Mounts held up? 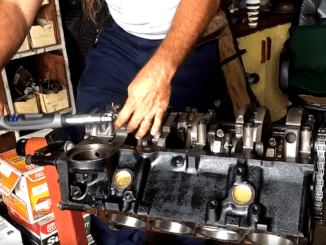 How do my DIY Polyurethane Engine Mounts compare to stock engine mounts? In this video both of those questions are answered. Over the course of around 10 months and 1,000 miles my polyurethane engine mounts have held up really well. They have not developed any cracks and are without faults. You can see a shot of them off the car towards the end of the video. To compare my polyurethane engine mounts to the stock mounts I recorded vibration, noise and engine movement with the polyurethane engine mounts on the car and took a test drive. 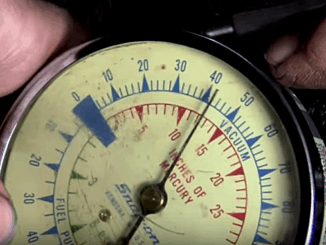 I then removed the polyurethane engine mounts, installed the stock engine mounts and then recorded vibration, noise, engine movement and took another test drive. Polyurethane engine mounts are great for cars that see a lot of track days, but for something that you are going to daily drive I honestly think that they are a bit too annoying. If your car will spend most of its life on public roads, I would advise against polyurethane engine mounts, since you will be experiencing their negatives most of the time and harnessing their benefits rarely. On the other hand if you have a weekend warrior or a track toy than polyurethane engine mounts are a great idea, because the noise and the vibration will be an unimportant side-effect and you will harness the benefits of a more agile car and a more responsive driving feeling.